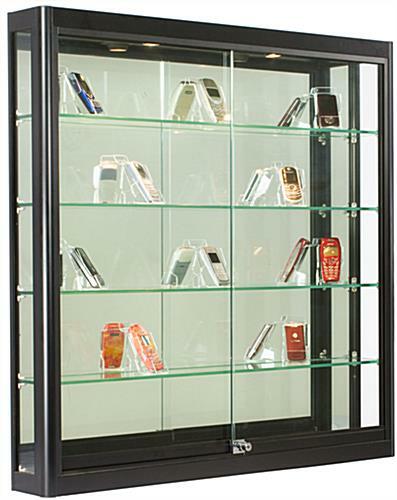 This locking wall mount showcase is designed for high visibility, security, and ease of installation in high traffic public locations. 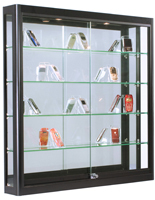 Each 39" wide display fixture features tempered glass construction with sturdy black finish aluminum framing. 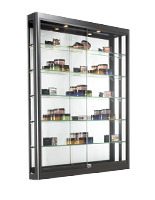 This illuminated wall mount showcase has four adjustable height shelves, built-in mirrored backing, and key-locked sliding access doors. 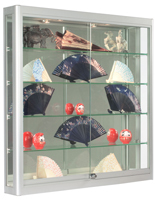 Each pre-assembled unit also comes with two 20-watt halogen top lights for high visiblity lighting. 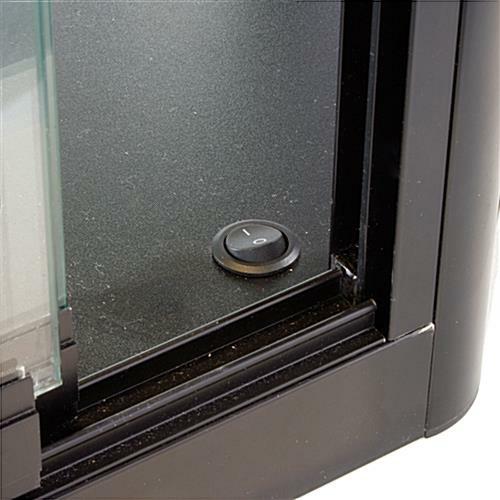 This security wall mount showcase with black framing is 6" deep and designed for easy installation in commercial, professional, and academic environments. 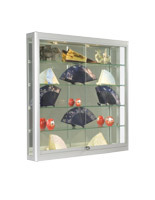 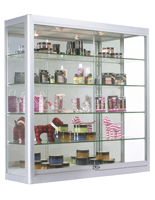 The 360-degree view offered by the tempered glass and mirror backer are ideal for showcasing retail merchandising, collectibles, samples, as well as sports trophies, medals, antiques or jewelry. 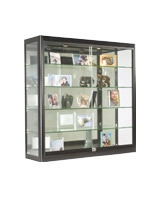 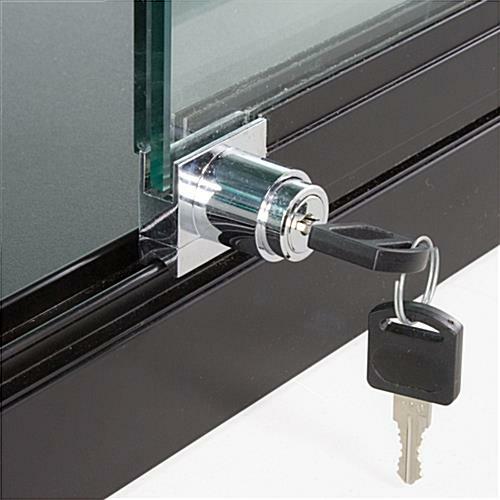 This safety glass wall mount showcase with black framing will complement any decor or contents. 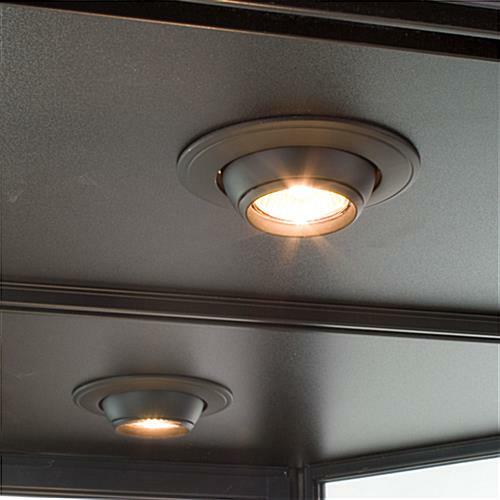 The built-in spotlights are designed to attract the attention of customers, visitors, and passers-by to contents in high traffic areas such as retail stores, schools, concourses, lobbies, galleries, and reception areas. 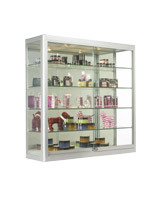 This illuminated showcase with adjustable shelves ships fully assembled and ready for installation.